The ambassador says he believes the catastrophic cyclone is an opportunity to rebuild the nation. The Zimbabwe embassy in Pretoria has established a task force led by Deputy Ambassador Mietani Chauke to coordinate ongoing efforts across South Africa to raise assistance for victims of the catastrophic cyclone Idai, which has swept parts of southern Africa, killing hundreds of people in three countries. On Friday, in an interview with African News Agency (ANA) in Pretoria, Zimbabwe’s ambassador, David Hamadziripi, acknowledged the massive ongoing campaigns by the South African public, civil society organisations, Zimbabweans based in South Africa, religious organisations, and the South African government to raise assistance for the affected people. Amidst the loss of life and destruction to infrastructure, Hamadziripi emphasised that he believed the catastrophic cyclone Idai, which has plunged Zimbabwe into mourning, is not a period of hopelessness, but an opportunity to rebuild the nation, picking up the pieces for better future prospects of the small southern African nation. 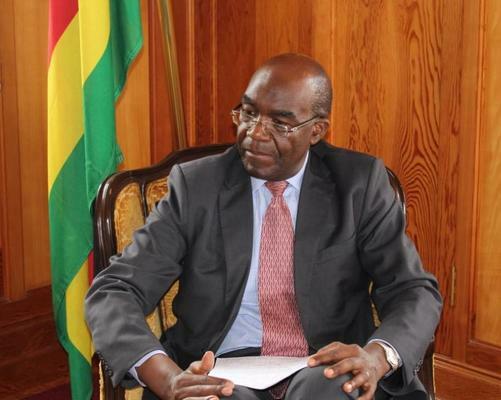 He said unfortunately, Zimbabwe has been left with an unplanned additional burden to rebuild – adding to the revitalisation campaigns initiated by President Emmerson Mnangagwa when he took office in 2017. “A country that has been befallen by a catastrophe doesn’t necessarily mean that it no longer has attractions for investment. It doesn’t also mean that you are going to abandon all the other policies, programmes, and projects that you have been pursuing. It means we now have an additional burden, that which we had not planned for, as a result of this disaster and destruction,” said Hamadziripi. The official death toll from cyclone Idai had on Friday hit at least 139 in Zimbabwe, with fears that the figure could rise, as close to 200 people remain unaccounted for and over 100 still marooned in the country’s two worst affected districts – Chipinge and Chimanimani. Mnangagwa has declared two days of national mourning for the cyclone Idai victims. Addressing a press briefing at State House in Harare on Thursday night, Mnangagwa said the number of deaths was actually higher than initial figures. Mnangagwa said on Saturday and Sunday that citizens would take time to remember the cyclone victims. “We expect all citizens, both individually and collectively, and in different ways which are informed by their faiths, beliefs, and cultures to remember our entire dear departed by way of prayers and in whatever other forms and practices,” he said. On the number of the dead, Mnangagwa said the estimated number of deaths could reach hundreds. “As we now know, we have lost many citizens, with the human (death) toll set to reach several hundreds,” he said. Mnangagwa visited the Chimanimani and Chipinge on Wednesday, where he said he heard horrific accounts of many who continue to grieve the loss of their loved ones and who still have hopes of recovering their remains.